The median sales price rose on an annual basis in January in every Bay Area region in which Pacific Union operates except Napa County, while the Mid-Peninsula was the only region to see inventory conditions improve. The median sales price in Contra Costa County ended January at $1.2 million, a year-over-year gain of 11 percent. Inventory dropped by nearly 14 percent from last January, while homes sold six days faster. Click the image to the right to see these and other Contra Costa County market statistics for January. 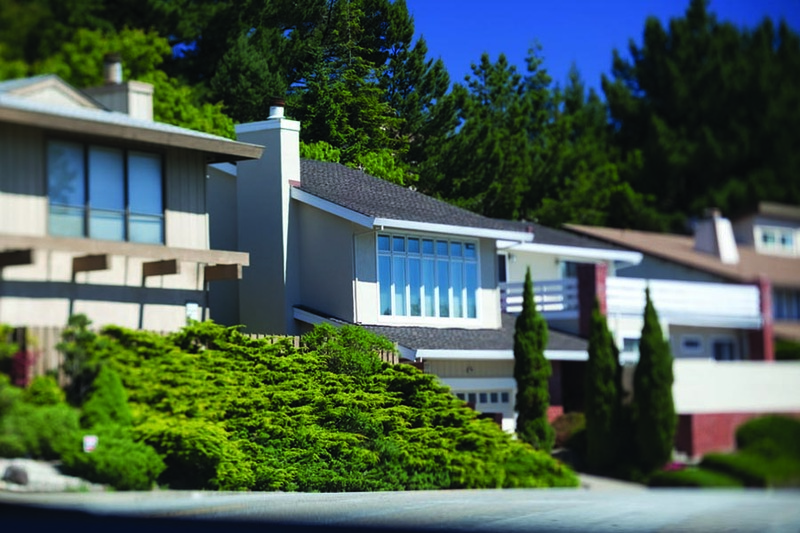 The median sales price in our East Bay region was $1.03 million in January, an annual gain of 9 percent. Homes continued to command premium prices, an average of 107.7 percent of original price. Click the image to the right to see these and other East Bay market statistics for January. At $1.23 million, January’s median sales price in Marin County increased by 9 percent from the previous year. There were 211 single-family homes for sale, an annual decline of 25 percent. 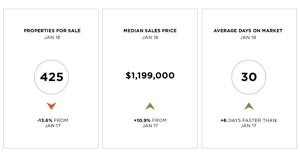 Click the image to the right to see these and other Marin County market statistics for January. The median sales price in Napa County ended January at $657,500, an annual decline of 3 percent. The number of homes for sale decreased by nearly 17 percent from one year earlier. Click the image to the right to see these and other Napa County market statistics for January. January’s median sales price for a single-family home in San Francisco closed out January at $1.33 million, up 6.4 percent year over year. There were 260 homes on the market, an annual drop of 32.5 percent. Click the image to the right to see these and other San Francisco single-family home market statistics for January. Defining San Francisco: Sales data in the adjoining chart includes all single-family homes in San Francisco County. The median sales price for a San Francisco condominium was $1.05 million in January, a slight annual increase of 1.4 percent. As with single-family homes, inventory declined by double-digit percentage points, dropping by nearly 20 percent from one year earlier. Click the image to the right to see these and other San Francisco condominium market statistics for January. With a median sales price of $3.4 million, a year-over-year increase of 15 percent, Silicon Valley remains the most expensive real estate market in which Pacific Union operates. Homes sold in an average of 34 days, 19 days faster than they did one year ago. Click the image to the right to see these and other Silicon Valley market statistics for January. 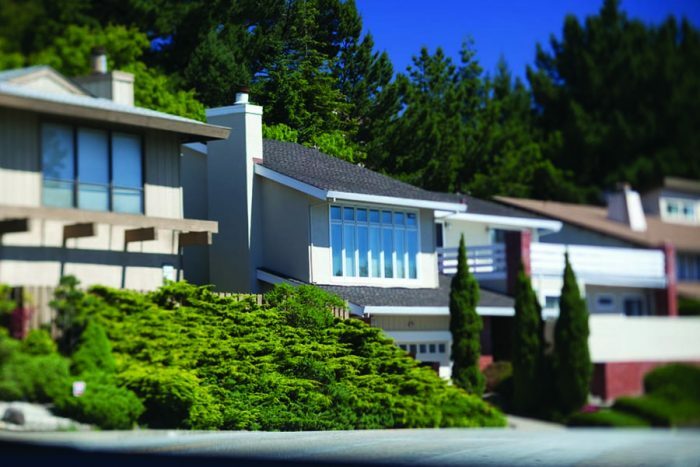 January’s median sales price for a home in the Mid-Peninsula was $1.59 million, an annual gain of 3 percent. The region was the only one in which Pacific Union operates to see inventory improve from January 2017, with the number of homes for sale up by 8 percent. Click the image to the right to see these and other Mid-Peninsula market statistics for January. The median sales price for a Sonoma County property was $670,000 in January, up 15.5 percent year over year. Inventory shrank by 15 percent from January of the previous year. Click the image to the right to see these and other Sonoma County market statistics for January. Sonoma Valley posted the Bay Area’s largest annual median sales price gain in January, up 43 percent to $1.22 million. Buyers paid an average of $616 per square foot, a year-over-year gain of 19 percent. Click the image to the right to see these and other Sonoma Valley market statistics for January. At $692,500, January’s median sales price for a single-family home in the Lake Tahoe/Truckee region was essentially unchanged from one year ago. Homes sold for an average of $538 per square foot, up 39 percent year over year. Click the image to the right to see these and other Lake Tahoe/Truckee single-family home market statistics for January. The median sales price for a condominium in the Lake Tahoe/Truckee region rose by 22 percent year over year in January to end the month at $420,000. The number of units for sale declined by 32 percent on an annual basis. Click the image to the right to see these and other Lake Tahoe/Truckee condominium market statistics for January.